Design professionals understand the brand (and the space). Designers and clients alike know that a brand is more than a logo; among other things, it should communicate a feeling, a philosophy and an experience. Through architectural graphics, wayfinding and identification signage, a space can be transformed into an influential and memorable tool for conveying a brand's message and personality. A well-designed space engages audiences with your brand from the moment they walk through your door. "If branding is about aligning promise with expectation, then a person's experience within an environment should be considered a form of branding," says John deWolf RGD, Vice President of Form:Media. "We begin every project with a discovery phase intended to reveal a core idea, which allows the team to make decisions based on a focused approach." Establishing the core idea of the brand at the outset of the project helps inform the flow of each subsequent decision. "Agreeing on the tenants of the brand, as well as the design strategy, is first and foremost," says Joseph Duffy, DUFFY & Partners. "From there we establish a set of design principles which will help articulate the brand in a visual way." Open dialogue and effective collaboration between client and design team are essential for achieving a cohesive brand experience. As pointed out by Jean-Pierre Lacroix RGD, President of Shikatani Lacroix Design, "The most important step is ensuring each element is thoroughly planned, developed and approved by the client." For SLD's work on the Nu Xtore in Shenzhen, China, this involved daily concept reviews and approval through the client's management structure. "Each zone [of the space] has its own personality, reflecting the brand position and identity, and the the customer journey has been choreographed right from the entrance." On November 23, 2018, Nu Skin officially unveiled their new experience center, Nu Xtore, in Shenzhen, China. Designed by Shikatani Lacroix Design (SLD), the state-of-the-art Nu Xtore features an increased focus on the customer experience and incorporates the latest in design and technology. Incorporating Nu Skin’s history and high-quality products, the space creates an immersive experience for shoppers and business partners that supports the idea of “discovering the best you.” The addition of interactive technology allows customers to gain a further understanding of their health and body, while an improved store layout that is centred around the “Fountain of You” communicates Nu Skin’s brand essence and values. Nu Xtores are expected to be opened in cities across China, further solidifying Nu Skin as an industry leader in rewarding business opportunities and innovative beauty products. 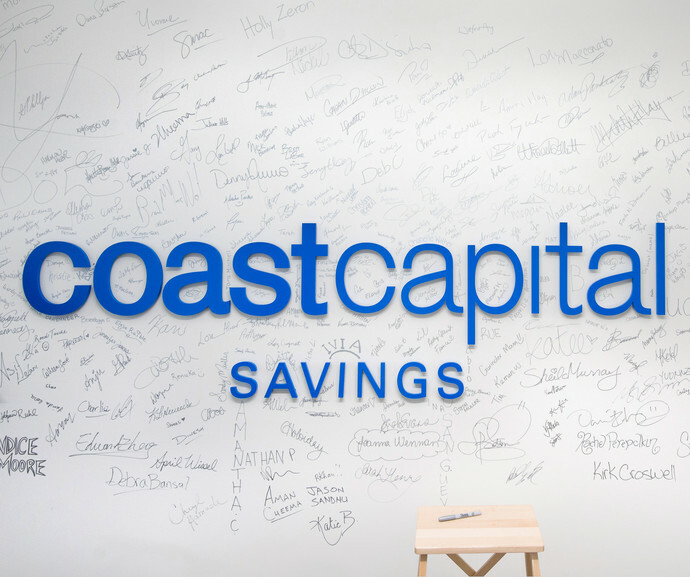 In 2016, after five years of planning and development, Canada's largest credit union by membership Coast Capital Savings moved into its innovative new headquarters. 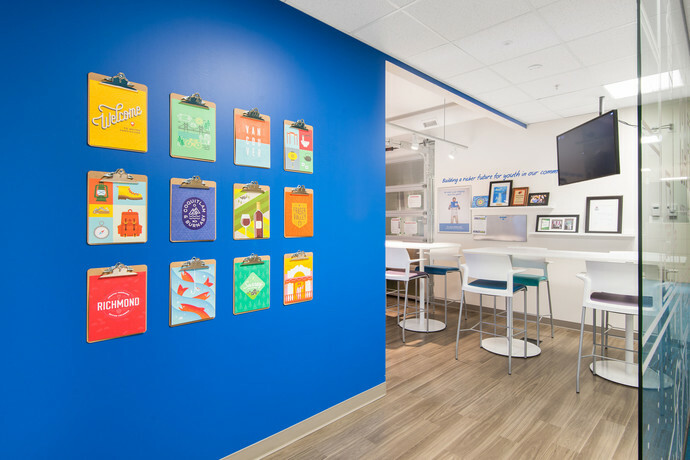 During the building's development, Rethink was tasked with an environmental design brief that had a clear objective: bring Coast Capital's fun and quirky brand to life in the physical space while reflecting their membership in various communities. This manifested into many different design elements including a history wall, regionally designed cafes, boardrooms with a localized naming convention and branded wayfinding throughout. The resulting experience is the deliberate antithesis of a traditional corporate head office with Coast Capital's brand, values and culture woven into every aspect, big and small. Look for more Environmental Branding insights coming soon!